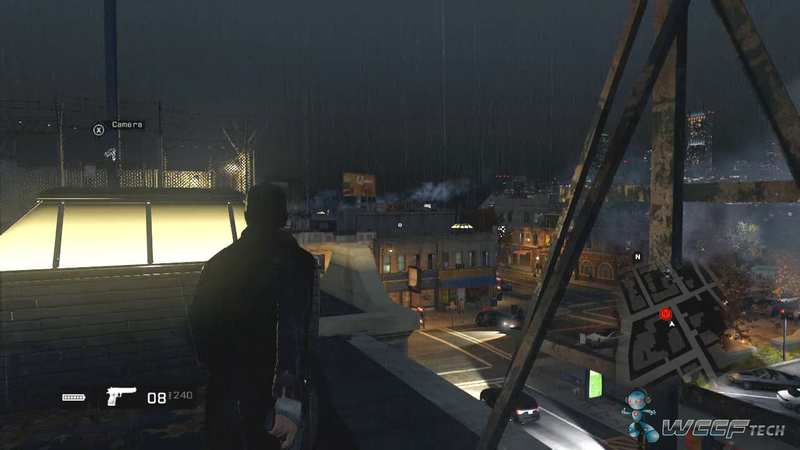 We are all slowly making our way from GTA V to Watch Dogs, the next generation open world experience. Watch Dogs has a lot going for it – from an extensive story to interesting characters. Single player shines while multiplayer seems an entirely lackluster and disposable part of the game. Even then, Watch Dogs is a title which most people will find themselves exploring for hours on end, even if part of it is disappointing. Watch Dogs Review: A Brilliant Reinvention or a Case of Unmet Expectations? 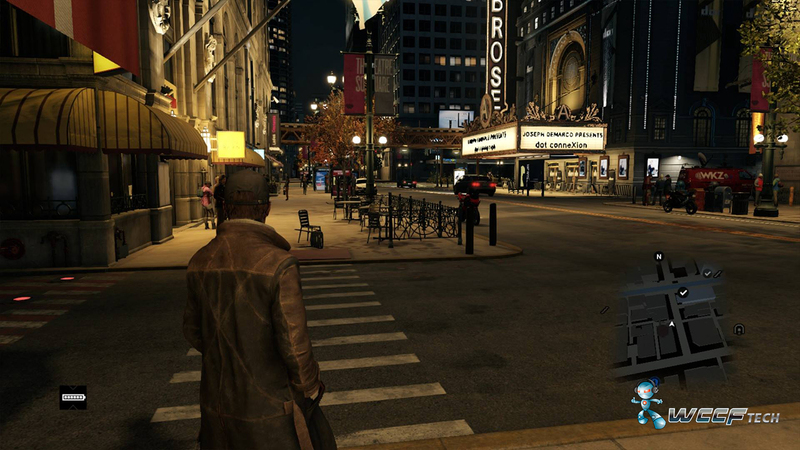 In Watch Dogs you play Aiden Pearce, a vengeful hacker against the new ctOS system in place within Chicago, painting a closer look into the real-life city where cameras dominate every street corner. His family has been murdered and he is out to get revenge on the powerful and corrupt. But Aiden is not quite a protagonist, he is something in the middle of antagonist and protagonist. He’s a guy with no real claim to good or bad, just gray. Vigilante Justice is an explored theme in Watch Dogs similar to something of Showtime’s Dexter. But Aiden Pearce resembles something different altogether in the way he approaches his missions. He goes after everyone and has an inherent disconnect with even his friends, keeping careful for backstabbers and always being cautious at the end of it all. Aiden Pearce trusts very few people in a tough Chicago world full of the underworld contacts which he works with and works against. The storyline mission structure is split into V acts, each with their own storyline flow and various quests. You can be a driver, assassinate some poor/not so poor guy, blow things up, whatever suits your fancy to get the job done of a rogue fixer. All missions take place in different districts which include the central city, the Mad Mile, scenic Pawnee, and the lowly Wards. Side-quests involve stopping crime, interfering with drug cartels, or just something easy and relaxing as playing chess with an old man or poker with a bunch of beer gutted people. Throughout the game, every action affects your reputation. If you kill a bunch of civilians like we did, you get the reputation of Anarchist which shows on the TV when you walk into the store. Don’t be afraid if you get the cops called on you for simply getting a drink from a burger joint. Or if you have a positive reputation, then people are more willing to let you pass, and even not call the cops as readily on you. This is something which is always appreciated in terms of having a consistent identity. 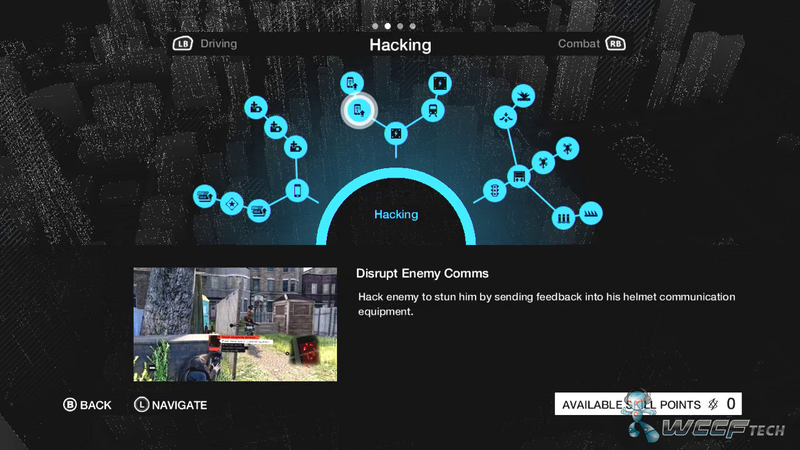 The storyline structure of Watch Dogs definitely feels spread out and varied. The characters that Aiden Pearce meets ranges from a punk-rock chick named Clara Lille, to the local fixer Jordi Chin who ends up becoming the weapons go-to for Pearce. Along the way, you do get grouped into quests involving different characters that are not necessarily related to the main storyline, Joseph DeMarco being one of them as we saw during E3 2012. All these quests at the end of the day get you skill points used for upgrading the 4 skill trees: Hacking, Driving, Combat, Crafted Items. The variety in these skills is refreshing. You can become an auto-weapons expert or become really great at hacking with improved skills that help avoid detection. The main weapon of choice for Aiden Pearce is his ultimate cell phone, which is the central thing to his power. The whole city is linked into ctOS and Aiden can gain the power over a certain district by hacking the local ctOS terminal. The phone also provides digital trips/city hotspots, Car On Demand, and minigames that make the city a real-life video game. Once this is done, he can gain access to ATMs, street lights, steam pipes, hard stripes, L-Train hacking, power terminals to blackout the city, the works. The phone gives Aiden the ability of the Profiler, a type of program which pops identification of people, including their job, a cool fact about them, and their salary. Some fun is had and rather amusing details do pop out in the Profiler in a comedic way. But in essence, the Profiler itself does not have very much of a use in the game mechanic. It alerts you to possible crime probability, but that is all the Profiler is good for and feels too much like a novelty item/unnecessary add-on. Aiden Pearce also has weapons, of course, such as the IED and guns, but players can choose to be glued to their phone or just use a method of direct brute attack. These are the only two methods that work in tandem for combat mechanics and is something which Ubisoft Montreal did very nicely. Multiplayer is where this game has its fun moments, but also lacks sorely in and one where Ubisoft misses the mark. There are virtually no cooperative game modes (like shown during E3 2012) and this is such a sad thing. 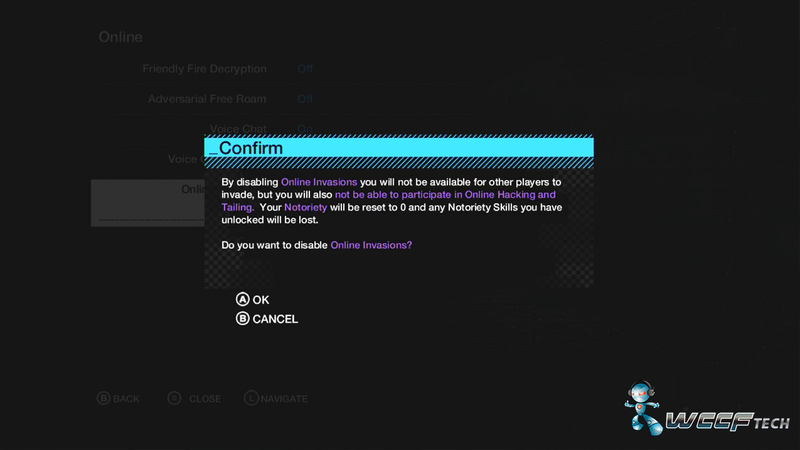 We were able to play Invasion, Decryption, Online Tailing, Free Roam, and Car Races. All these modes were generic to a level. The multiplayer modes are accepted through the single-player profiler or can be launched directly through the phone layout screen. Invasion has two players, one who will enter into the other persons game and invade their phone’s database. The other player does not know someone is in his game until a “backdoor” is planted, then they are alerted. The hacker’s job is to hide and remain undetected until the backdoor is fully installed and they get away with the data of the other player. This mode was fun for a while, but even this slowly started to get repetitive even with online skills being unlocked.Decryption mode features 8 players split into two teams similar to a team deathmatch style. These eight players fight over a nearby computer file and decrypt it. Once a player has the file above his head, it decrypts slowly but can only decrypt very fast if the team stays together (something hard to do). Once the file is 100% decrypted, the team wins. This mode itself felt too similar to team deathmatch and was not nearly as fun to play considering it seemed reminiscent of a capture the flag type mode. 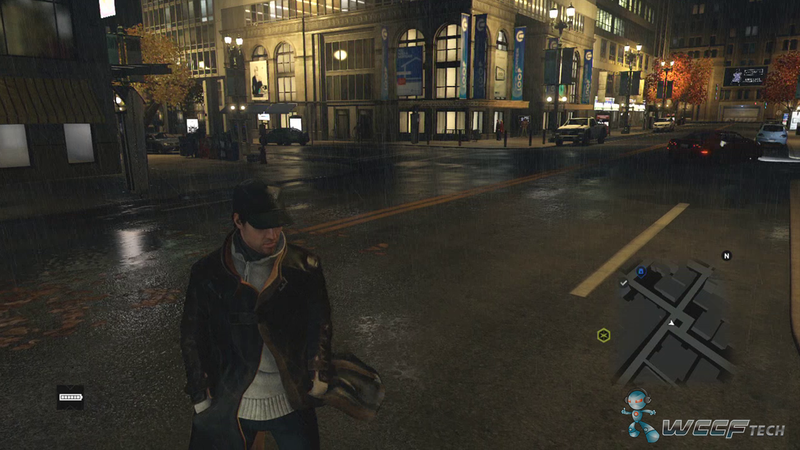 Watch Dogs also comes with Online Tailing, which is simply observing the other player. This is a mode we had a lot of fun in, because it was not so hectic like the other modes, but this one also lacked a lot and had a short timer which ruined the experience. Car Races were also generic and Free Roam had nothing going for it other than an Adversarial Mode, which is simply players flagging themselves to be PVP on the server. The 5 minute limit timer on Invasion Mode and Online Tailing also feels like something which the developers have artificially placed on the experience – and the lack of true cooperative modes makes the multiplayer a hit-and-miss. Ubisoft Montreal really created a multiplayer which is seamless, but with lack of cooperative efforts it is just no good with zero ingenuity. One huge caveat/punishment Ubisoft implemented is when you do turn off the Online Option, all your skills accumulated are reset to zero. You read that right. They all get reset to zero. All the online-specific skills reset to zero as punishment for not wanting to play online, something which is entirely disappointing. Either you keep getting invaded, or you get punished for wanting to play sometimes and not other times with the online mode. In our exclusive gameplay look, we show you the visual fidelity of Watch Dogs, which is something a lot of people want to see and the developers have kind of remained silent about. But not us here at WCCFtech quite simply because we got our own copy! Enjoy our gameplay world exclusive preview of Watch Dogs on the Xbox One at the top of this post. The visual fidelity is definitely not on point to E3 2012 – without big explosions which make sense – and the daytime looks bland and equivalent to Grand Theft Auto V (a last generation title which was highly optimized). Keep in mind, this is just on consoles after all. PC will perhaps match the E3 2012 footage, which was stated to have been run on a PC originally. 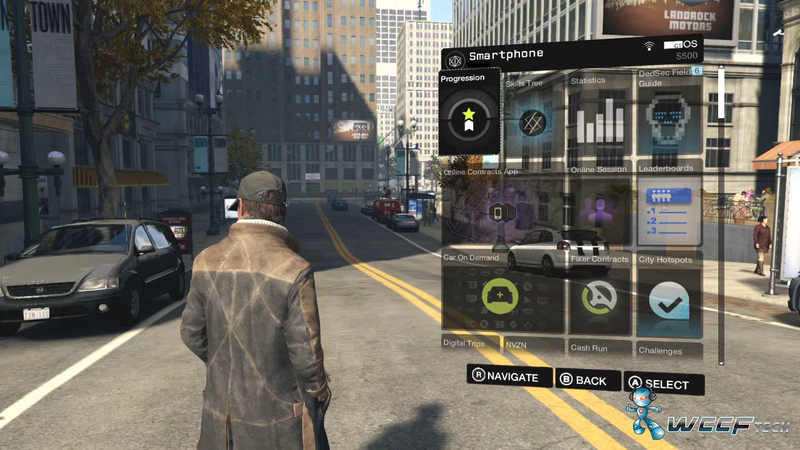 Watch Dogs is a beautiful single player experience with a lackluster multiplayer twist. The game is fun and has a lot of things to do for a free roam, but it just lacks as a title which was supposed to deliver it all. People will want to just stick to Grand Theft Auto V on May 27th and stay in Los Santos just a little bit longer. A lot of people are angry and believe I was playing some magical game, or did insane CG effects, or even played a multiplayer beta where this type of gameplay was not even allowed. They keep asking for the box and denying the footage I have as if it was artificially created, yet not saying how, stating the game “just went gold”, “it’s not in retail stores”, “I work for a small reviews site myself and know it’s not out”, etc etc. Please note, someone posted their PS4 retail copy today with the box and footage as well. To quell any clear thirsts as all these comments indicate – here is a picture from a story mission on the Xbox One. It is the exact same mission from E3 2012 (before you start the mission). Enjoy folks. We went ahead and did another article on this game due to the response. It is a full on feature with exclusive multiplayer footage. 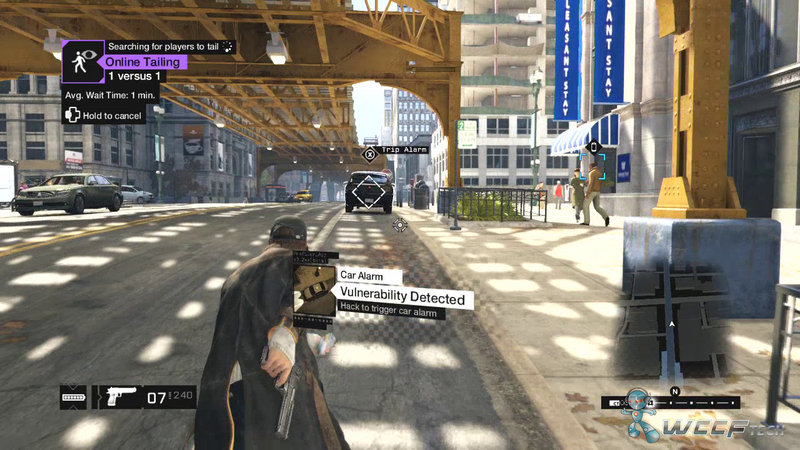 Click Watch Dogs Multiplayer Feature Exclusive Footage to see it now!